GoDaddy is the world’s no. 1 website for domain and hosting. Whether you are a startup or an established business tired of the lackluster services of your present hosting company, GoDaddy is the right choice. This is the primary source for all active and valid coupon codes for GoDaddy. You want 25% off? You want 50% off? Here you can find it all. Buy your domain today or save it for tomorrow at rates so low you would not believe. In addition to best domain registration services, they are equally great at hosting your website. Use the codes below to save up on the entire term of your plan. Enjoy 24/7 support, latest technology, and peace of mind. What else could one ask for? .CLUB is the ultimate social domain name, making it easy for anyone and everyone to bring people together around common interests and passions. The .net domain is Generic top-level domain that is use for Network infrastructure and also use to bring your idea to life on the web. 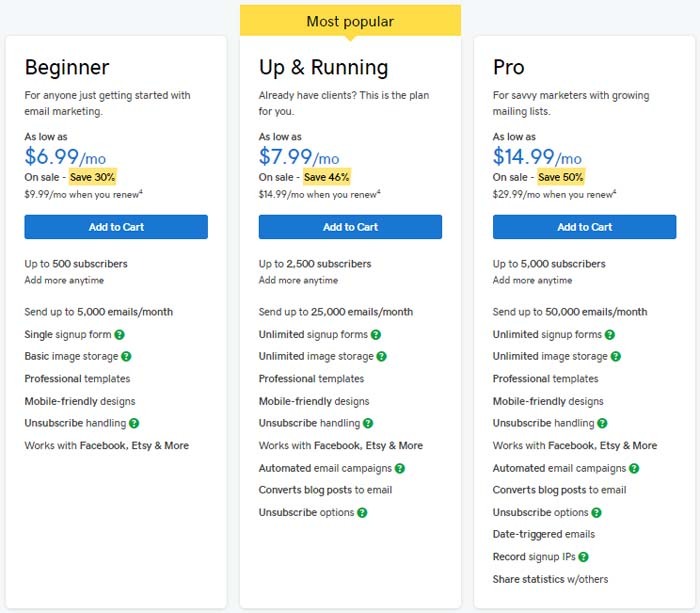 Shop .com Domain is the most widely used domain extension for websites with big savings over other registrars and award winning 24/7 support to help build your online business. How often does GoDaddy release coupon codes? GoDaddy is the world’s leading domain and hosting provider and they are used by millions of customers. GoDaddy coupons are released every month in large quantities. There are coupons for virtually every plan and service. During the weeks leading up to occasions like Black Friday or Cyber Monday, even more coupons are released. GoDaddy has a strong presence around the world and has local versions of its website as well. Customers can also find special discount coupons on holidays in their own country. How long does it take to transfer the domain? Are there any limits? GoDaddy has made it super simple and fast to transfer your domain. The process is automatic and quick so it basically happens in the background on your big move. Usually, it takes 5-7 days to transfer your domain at GoDaddy. Time is mostly dependent on the type of extension. One can transfer domain anytime but there is one restriction. You cannot transfer a domain within 60 days of buying it or transferring it previously. GoDaddy needs no introduction as it is the world’s most popular domain registration and web hosting site. It has over 17 million customers and has regional facilities in almost every region on the globe. It was founded in 1997 and is headquartered in Scottsdale, AZ. GoDaddy is the leader of cloud platform for domain registration and offer many other solutions for web businesses. With round the clock customer support, great discounts, and plethora of online resources for the customer, GoDaddy is the number one choice for small independent as well as established businesses for finding the right domain. Their plans and prices are designed to provide growing businesses an opportunity to gain solid ground in the online world. The prices are very reasonable and will not exhaust budget. Something as fundamental as a domain name should not be difficult to get and expensive to buy. They have over 76 million domain names under their belt. GoDaddy’s domain registration program is what this business was built on. It is considered the best and most economical place to find relevant domains for business. Your domain is your business’ basic identity. GoDaddy’s domain services encompass anything and everything related to domains. The domain search tool quickly finds thousands of possible domain names. The prices vary by extensions and availability but with coupons, it gets very cheap. They offer common extensions like .com, .org, .net, and .co. They also have new extensions like .club, .online, .rock, .website etc. GoDaddy provides an automated and simple domain transfer process at reasonable pricing. You can move your .com domain at just $7.99 for the first year. Domains are monitored round the clock at GoDaddy in order to make sure the websites are up and running. You can save even more if you buy domains in bulk. You can buy hundreds of them at discounted rates. With your domain, you also get 100 subdomains and 100 professional email aliases. You can find all types of extensions. For bulk orders, some extensions are on sale too like .net or .biz. GoDaddy also offers domain broker services. If there is a domain that you want but is already taken, GoDaddy can broker buying that domain for you. All you have to do is provide that domain name and the price you are willing to buy it for. They will start the brokering process and help you get your dream domain name. Personal domain is a new service that is quickly gaining traction in the business world. Domains for businesses serve as an identity for them online. A personal domain basically does the same for you. You do not have to have a website. You can use this domain to direct to your profile on any platform e.g. Facebook, Twitter, LinkedIn. At GoDaddy, domain privacy starts at $7.99 per year rate for a single domain. You can either go for Privacy Protection plan or Privacy & Business Protection plan ($14.99 per year). The latter is more suited for business and protects their domains from theft and other threats. It hides your personal details from the WHOIS Directory. Are you thinking of selling your domain? There could be many reasons for it. But how do you know what it is actually worth? Depending on your business and circumstances, your domain might even be worth thousands of dollars. The GoDaddy Domain Value Appraisal is a free tool to find your domain’s worth. You will also find related domains and their values for your consideration. You can avail these services at discounted rates through coupons as well. There are multiple plans for each of these services to cater to different business sizes and models.